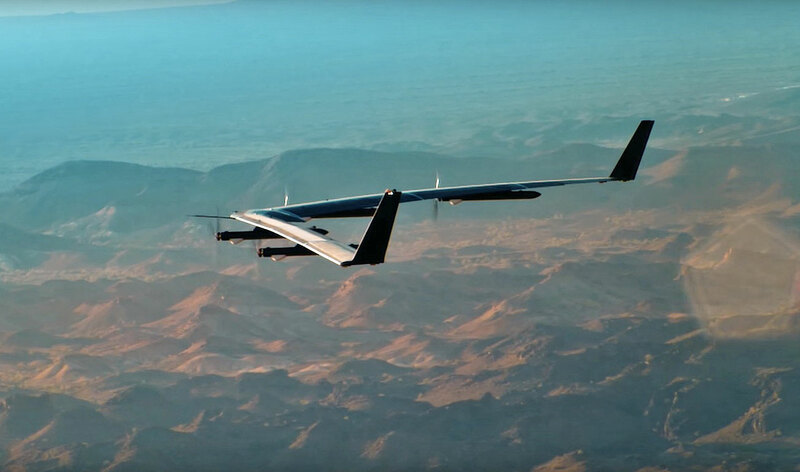 Facebook celebrated the first full test flight of its solar-powered internet drone, Aquila, in July, but things didn’t go as smoothly as they could have. The drone completed a 96-minute flight in Yuma, Arizona, but it ended up crash-landing because of a structural failure in the right wing, according to today’s report from the National Transportation Safety Board. The NTSB announced in November that it would investigate the accident. Aquila’s only landing mode is “autoland,” meaning the aircraft senses things like wind speeds and temperature, and adjusts for the smoothest landing possible. During its debut test flight, operators expected wind speeds of 7 knots. However, as Aquila came in to land, winds picked up to 18 knots and the autopilot responded by dipping the drone’s nose, increasing airspeed above the normal 25 miles per hour and twisting the right wing. The drone was less than 20 feet above the ground, traveling at less than 30 miles per hour, Facebook says in a blog post. “The autopilot was unable to track both the airspeed and glidepath simultaneously, and gave too much priority to tracking the glidepath at the expense of not limiting the airspeed,” Facebook says. To address this issue, Facebook intends to tweak the Aquila’s design and software. First, it will add a drag device, such as a spoiler or airbrake, allowing the autopilot to steepen its descent without picking up speed. Second, the autopilot will be told to prioritize maintaining a safe airspeed over altitude tracking. “This could mean a less accurate landing, or a go around if the airplane deviates too far above the glidepath,” Facebook says. Researchers are already working on a second generation of the Aquila. The company eventually hopes to fly the Aquila over internet-less regions of the world, connecting a brand new market to the World Wide Web — and Facebook, of course.